I’m back from Kansas, and trying to recover from the fun. Pipe shows are great things, but they can be exhausting. 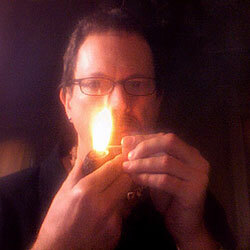 Thursday night, after the pipe club meeting, I returned with a friend to his place to learn how to roll cigars. Scratch that. I rolled a few things that to the casual onlooker would have been perceived as alien life forms (who knew a cigar could have appendages?) or sections of branches from gnarled trees littering the ground after a forest fire. One actually did look vaguely like a cigar, if not observed too closely, but one that had been used as a chew toy by a pit bull on meth. I learned a bit about different cigar tobaccos, got to taste a lot of different leaf in its pure state, but the most important lesson was probably that I have no real future as a torceador. I’ll stick to pipe mixtures. The show was fantastic. It’s a small show, but there’s always plenty to see, great people to meet, fun conversations to have, and that’s the problem. Four AM comes far too quickly, and sleep is scarce. By Sunday night, my eyes were glazed, my mind racing, and though my plane touched down Tuesday night, my brain is still in the clouds, and a little of my heart is still in Kansas. Thanks to the KC club for putting on a great show, for being so welcoming to all the out-of-towners, and for making this one of the most fun weekends I’ve had in a long time. If only they could do something about the weather. So, Toto, now that we’re not in Kansas anymore, let’s see what the mailbag has to offer. Mark asks: First of all, thank you. You blend some of my favorite tobaccos. 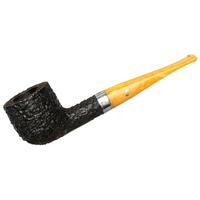 I love your enthusiasm and obvious passion for pipes and tobacco. There’s been a lot of excited chatter lately about Semois since The Pipe Guys started bringing in Vincent Manil’s La Brumeuse. I know you’re familiar with it because I saw your comments on the NY Times article. I’ve tried it. It’s certainly unique. Doesn’t ring all of my bells, for sure, but it does ring enough of them to be interesting and enjoyable. My questions: Is Semois a variety that you’d consider using in future GLP blends? What other tobaccos could you see possibly pairing it with? What qualities would you look for Semois to bring to a blend? Or is this a tobacco best enjoyed alone, on its own terms? A: A great question. Semois is fascinating stuff. It’s not for everyone, but if it’s singular flavor profile and smoking characteristics are craved, nothing else will quite touch base. I’ve played with it on and off for years, hoping to find some way to incorporate its unique taste into a blend that compliments it, and the results haven’t been what I’d consider exciting. The problem is that most of what makes Semois special is quite subtle, and it can be overwhelmed by even the most minor addition of something else. A little virginia, I thought, might bring out the sweetness and those interesting floral notes, but even the most delicate brights tread all over the Belgian beauty, resulting in something more akin to Coors than to Chimay. Stronger flavors, like latakia and perique tend to clash with it, and even orientals compete more than they enhance. Another difficulty is that the Semois tends to be best when smoked quite dry, while most typical pipe tobaccos deliver more with a little moisture; when the water content is a little to one side or the other of the Goldilocks point, the mixtures tends to suffer. As I said, it’s fascinating stuff, and more than a little strange. 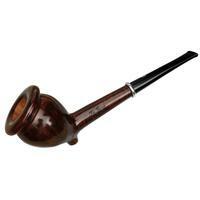 I have a couple of small pipes dedicated to the Semois, and enjoy it occasionally, and I still play, once in a while, with ways to incorporate it into something harmoniously, but so far, it’s not really gone well. I’ll keep playing, though, and one day, the Aha! moment may strike. 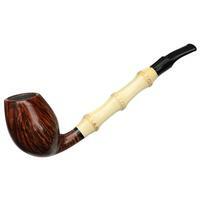 In the meanwhile, give a smaller pipe a try, or a meerschaum, which to me is a sort of heavenly match for the stuff. And, stay tuned. You never know what will happen tomorrow. 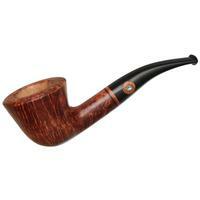 In a couple of related questions, Monty writes: Greg, as a well respected blender and artisan of all things tobaciccana, have you received any reliable information on how the civil war in Syria to date has and might effect the supply of Syrian Latakia for the pipe tobacco market? And Matt asks: Much has been written about the demise of Syrian Latakia, including political turmoil, and the heavy strain it put on natural resources there. These and other factors resulted in the subsequent government ban put on growers and curers in Syria. My question has to do with Cyprian Latakia. Cyprus is a small Middle Eastern island. Do you foresee the possibility that Cyprian Latakia could one day become either scarce or unavailable in the near future for similar reasons? 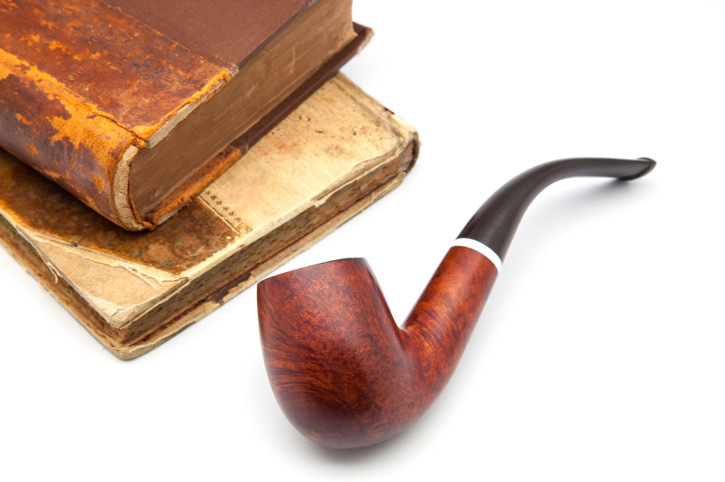 Are we taking this noble leaf for granted which is such a key player in countless pipe blends? And if supplies (God forbid) dried up, which tobaccos could possibly fill that gap for Balkan and English blends? In other words, don’t expect to see Syrian latakia produced again any time soon. They have bigger fish to fry, and getting the country back on its feet after, and if their struggles are resolved is going to take more than planting a few acres of tobacco to satisfy the tiny demand we represent in the market. On to Matt’s question. 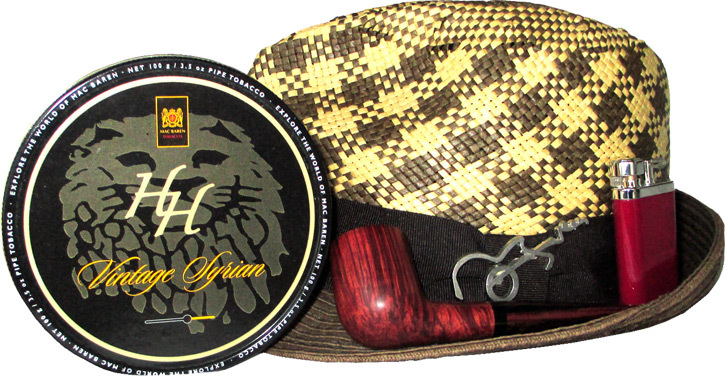 Nothing lasts forever, and as the pipe smoking population shrinks, the demands for Cyprian leaf will, too. At some point, it’s likely, unless our number grow sufficiently, that Cyprus will not find the economic forces stimulating enough to continue producing this beautiful product. So, the short answer is, yes, we do take it for granted, and it’s quite likely that within our lifetimes, Cyprian latakia will become another ghost haunting the hallways. Is there anything that could replace it in the mixtures we love? Not really. But, remember that Cypriot latakia gained its foothold after the Syrian government restricted production of the stuff in or near 1960, and an industry was born. It’s entirely possible that if demand is sufficient and Cyprus does decide to stop producing it, someone else may step up and fill that demand. It’ll probably be more expensive, and a little different, but who knows? It might even be better, and, having another option available is always fun for those of us on this side of the blending bar, to the benefit of the curious and open minded smoker, as well. We’ll burn that bridge when we get to it. In the meanwhile, buying a few tins to set aside for the future probably isn’t a bad thing. Kostas pens: Last summer I managed to be the proud owner of 3kg of a local tobacco variety from Western Greece. The name of this variety is called "Myrodata" (literally meaning "odoriferous"). Despite its name it’s poor in aroma and nicotine levels but it has a very unique taste that I really enjoy. It belongs to oriental tobaccos. Unfortunately there is a little problem. 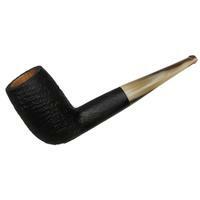 The cut of the tobacco is for rolling cigarettes and it burns really fast in the pipe. So, I was wondering is there any kind of tobacco that I could mix it up in order to slow down the burning process (is it possible to achieve that?). My first thinking was something like flake tobacco but I don’t want to eliminate the oriental element. 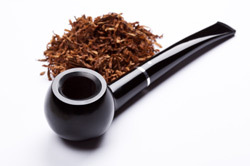 As a latakia and oriental lover myself what kind of tobaccos would you recommend to mix it with? p.s. At this time, I’m embarked to a cargo vessel for 8 months now and I’m really looking forward to go home and open my tins some of them from your beautiful blends. By the way, I managed to copy your columns before I leave and I should thank you for keeping me good company with your excellent essays. A: I’m honored that my writing is in good company. Thank you for the kind words. Since you enjoy the oriental tobaccos, you might try mixing your Myrodata with other orientals in a broader cut. In general, we’re usually fighting the opposite battle, as orientals can tend to be a little hard to keep lit, so the fine cut might help to keep the fires burning. Or, instead of adding a flake, how about trying a younger, un-caked red virginia ribbon that’s not finely cut? And, add a little coarse-cut burley, which can be a little rough tasting on its own, but can help to temper a hot burning mixture. And, since you like latakia, try adding as much as 30% to the mixture, in small increments, to see if you can find that perfect balance between the orientals and the smoky stuff. Alternatively, you might try different moisture contents, or pack it more tightly in smaller bowls. It’ll be a fun adventure if you keep your mind open and take notes on what does and doesn’t work for you. Let us know how it goes. That’s it for this edition. There are quite a few really interesting things left in the mailbag, but we always love to get more, so keep those cards and letters coming, boys and girls. Now, if only we had a PipesMagazine Secret Decoder Ring we could offer as a prize for submissions… (Are you paying attention, Kevin?) Until next month, happy smoking. Always a fun read, Mr. Pease. Wouldn’t some Maryland slow down a mixture’s burn? Would that alter the flavor? Maryland is a great thing to add when you want to improve the burn of a stubborn mixture, but it’s probably not going to be effective at slowing it down. It’s got a similar taste to a good burley, though not as strong. It might be worth a try, but I think it would likely have the opposite effect to what Kostas is after.